I have other two recipes using fresh orange juice in cooking rice and barley. They are Orzotto (Barley) With Agretti, Shrimp & Oranges and Orange Rice With Cinnamon and Chocolate. 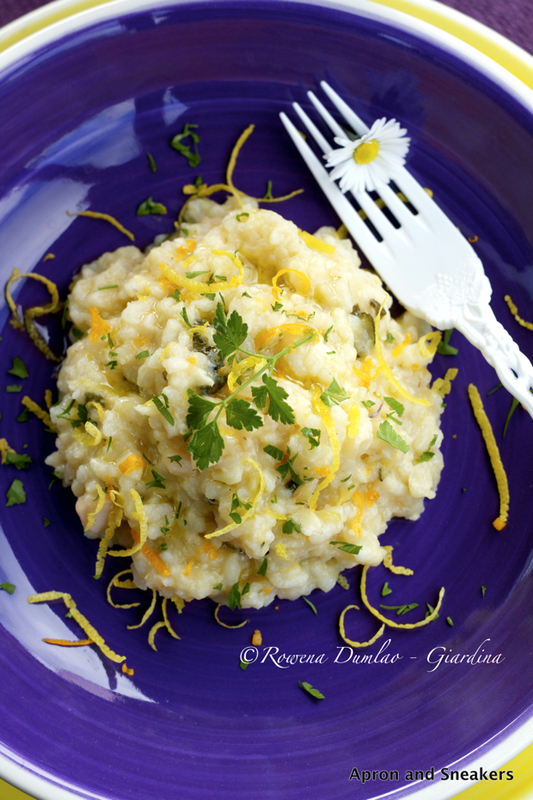 To go to the risotto recipe, please click on this link that will take you to She Knows, a site where I also develop recipes. If you would like to see the list of recipes that I have developed for them, click on this link too. Thank you and have a nice day!